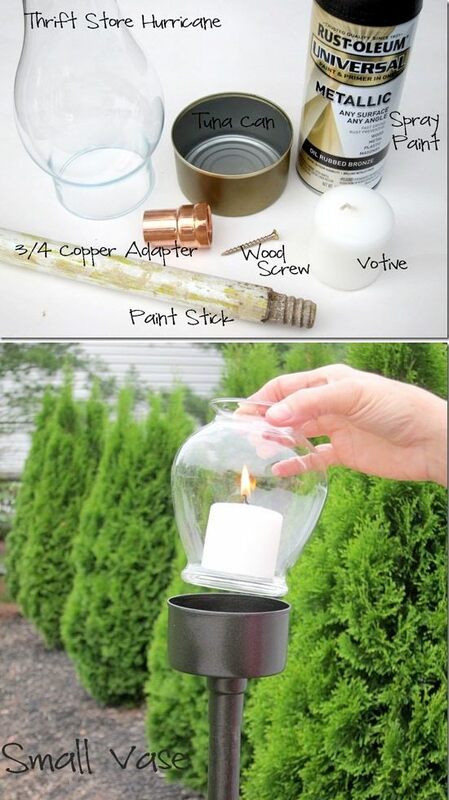 You would never guess that this little candle lantern was made out of a tuna can! You could make a few variations using a hurricane, stemless wine glass, or small vase– or whatever you can find for a reasonable price at thrift stores. Check out the full instructions for this clever project over at In My Own Style. Just look at how much stuff this DIY tin can art caddy can hold! It keeps everything organized and in view for easy access. Simply rest it on top of a lazy susan to make it even more handy. Check out the full details and instructions here. 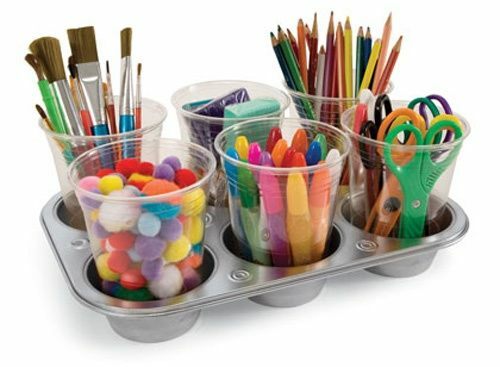 Even easier, if you need an art caddy that is portable and interchangeable, simply fill a large muffin tin with plastic cups to store all kinds of supplies.